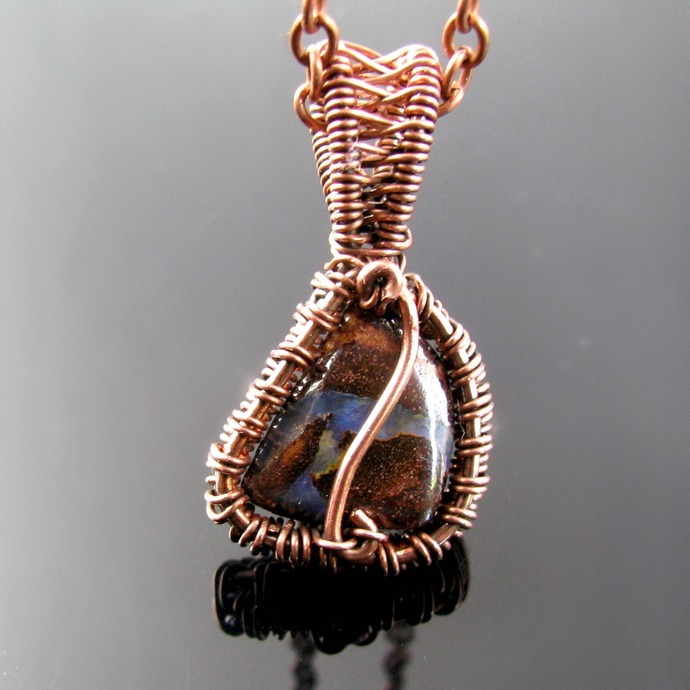 This small freeform Boulder opal was too pretty from both sides to hide one of them. 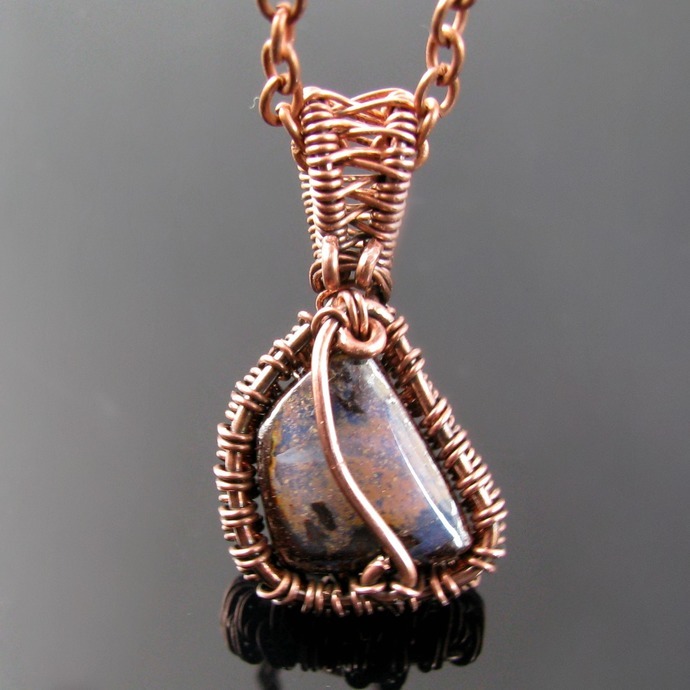 The bezel is woven from oxidized copper wire and the opal which is top drilled is held not only by wire through the hole, but also two elegant wire curves on both sides. 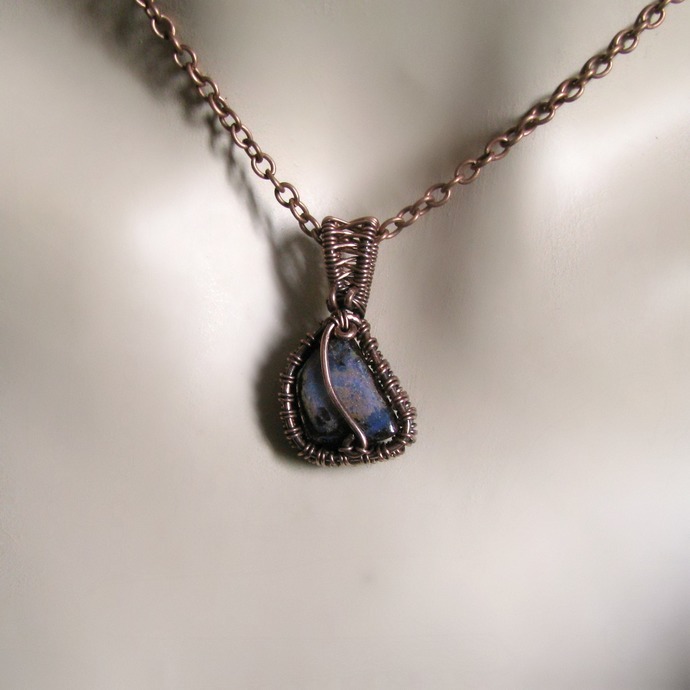 The pendant is topped by a wire woven bail. 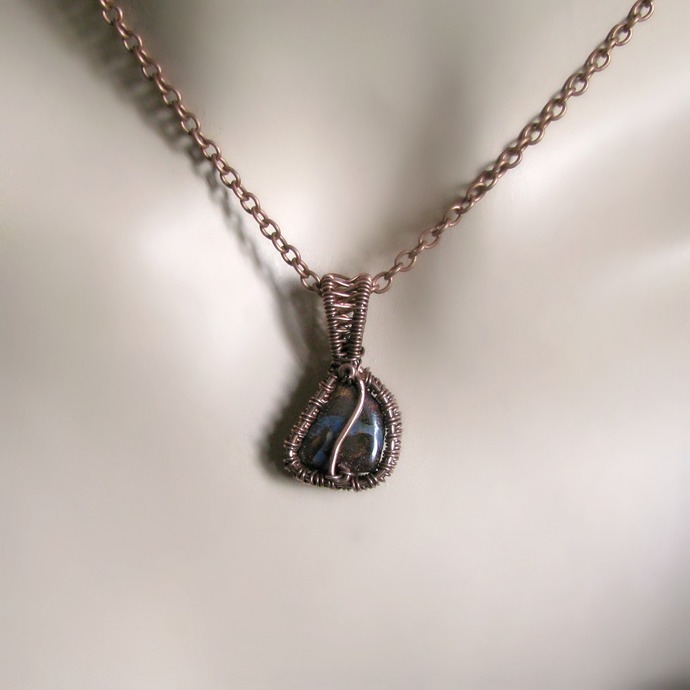 It is 3.2 cm or 1 1/4 inch and comes on a fine copper tone chain.